Dr. Coyle's research interests include developmental neurobiology, mechanisms of neuronal vulnerability, and psychopharmacology. 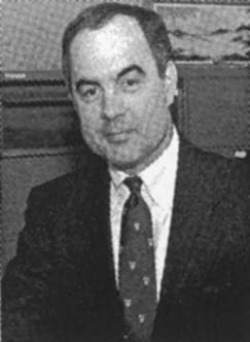 From 1991 to 2001, Dr. Coyle served as Chairman of the Consolidated Department of Psychiatry at Harvard Medical School, which included the nine hospital programs of psychiatry affiliated with the Medical School. In 1980, he was promoted to Professor of Neuroscience and Psychiatry; and in 1982 he assumed the Directorship of the Division of Child and Adolescent Psychiatry, being named the Distinguished Service Professor in 1985. He serves as a Member of Clinical Advisory Board at Avera Pharmaceuticals Inc. Dr. Coyle also serves as Member of Scientific Advisory Board of Prestwick Pharmaceuticals Inc. He has published over 500 scientific articles and has edited seven books. Dr. Coyle is a member of the Institute of Medicine of the National Academy of Sciences, a fellow of the American Academy of Arts and Sciences, a fellow of the American Psychiatric Association, a fellow of the American College of Psychiatry and served on the National Advisory Mental Health Council for the National Institute of Mental Health.